This series of graphics marks the latest installment of our Syria SITREP Map made possible through a partnership between the Institute for the Study of War and Syria Direct. These graphics depict significant developments in the Syrian Civil War from February 21 - March 6, 2018. The control of terrain represented on the graphics is accurate as of March 8, 2018. 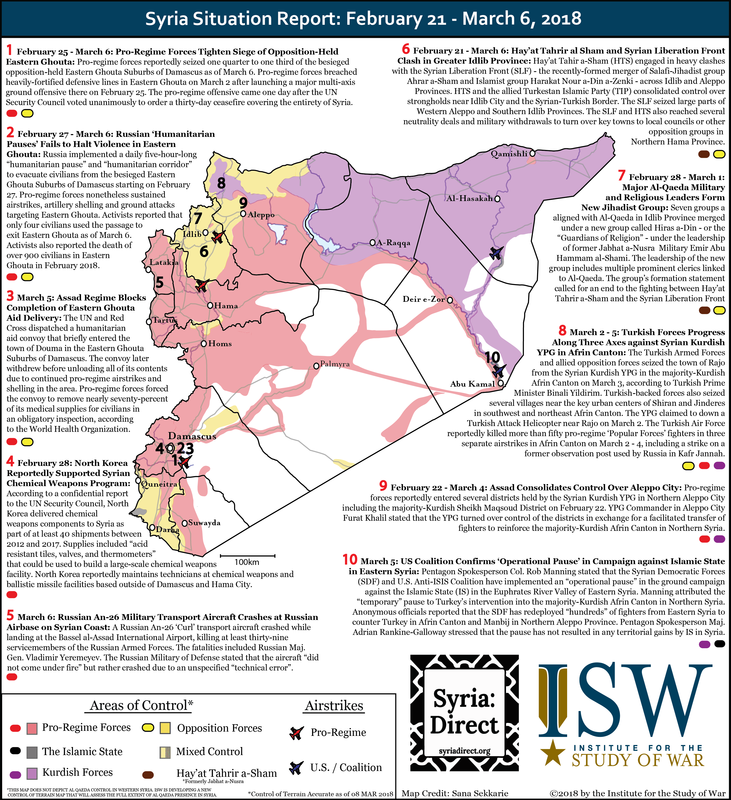 Special credit to Sana Sekkarie of the Institute for the Study of War for the text of the Syria SITREP map.